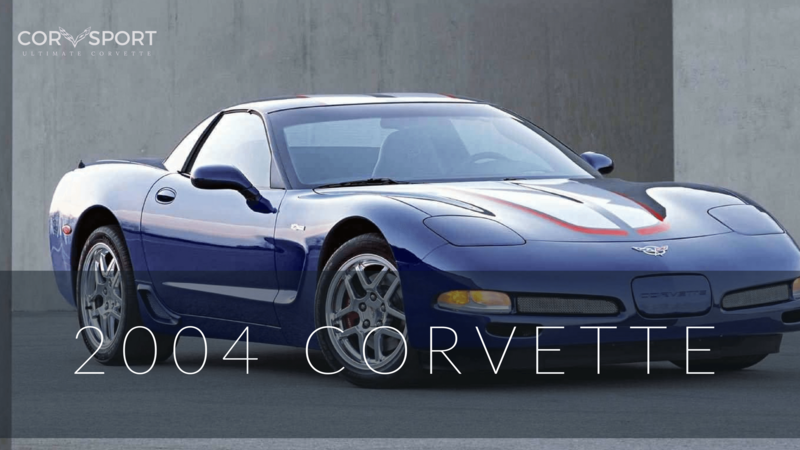 After a production run of more than a decade, there was no question that it was time for the next evolution of the Corvette to emerge and replace the C4. 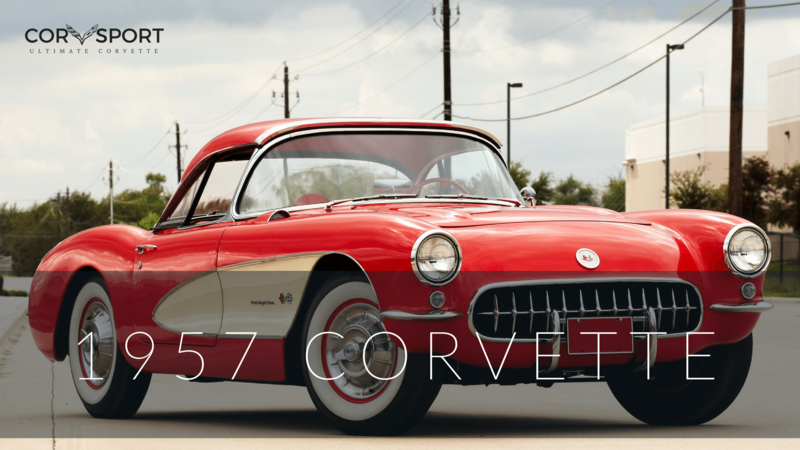 After all, the fourth generation Corvette had remained in its basic form for twelve years, which had made it the second longest production Corvette – second only to the third generation C3 Corvette, which had, in turn, remained in production for fifteen years! The C3 Corvette – most commonly referred to as the “Shark” – had remained in production as long as it had because of its commercial success. It sold well and, as a result, GM saw little value in changing a product that produced a solid profit for them, especially given the amount of money that the company was investing to bring their internal production standards into compliance with a myriad of new, federal emissions and safety regulations. By the time the C4 Corvette had arrived to take the place of the C3, things had already begun to change directions for General Motors. The C4 Corvette, for all of its technological advances and aggressive styling, was not as well received as General Motors had hoped. The 1984 Corvette had been sluggish, emphasizing handling over speed, and left some Corvette purists feeling under whelmed. While Corvette engineers quickly addressed the issues of speed by improving upon the L98 engine year over year, the C4 struggled to find an identity of its own. To make matters worse, the mid-to-late 1980s were not kind to General Motors. As a result of declining sales in all of its major market lines, the automotive behemoth rapidly began to lose market share. As a result, additional engineering and manufacturing problems plagued all of GM’s models. It seemed, at least to consumers of that time, that the Japanese automobiles that were being imported into the United States were superior to the American made automobiles. The Corvette was no exception to this belief. Early concept design of the C5 Chevy Corvette. (Image Courtesy of GM Heritage Media). 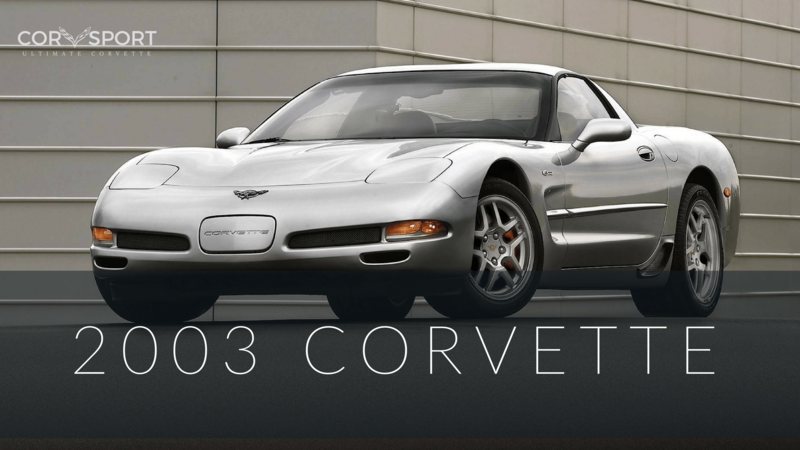 The evolution of the C5 began as early as 1988, when GM executives had originally planned a 1993 roll out of the fifth generation Corvette to help mark its 40th Anniversary. Despite the challenging economic and manufacturing struggles that had riddled the company and left many questioning the continuation of the Corvette, (let alone its evolution into an entirely new generation,) General Motors knew that it had to allow the car to evolve if they were to compete with the overseas imports that were quickly gaining a foothold all over the world. Cars like the Nissan Z, the Porsche 944, and the Mazda RX-7 were beginning to dominate the sports car market, and a new generation of enthusiasts was emerging who appreciated these cars for their balanced blend of performance, handling and comfort. 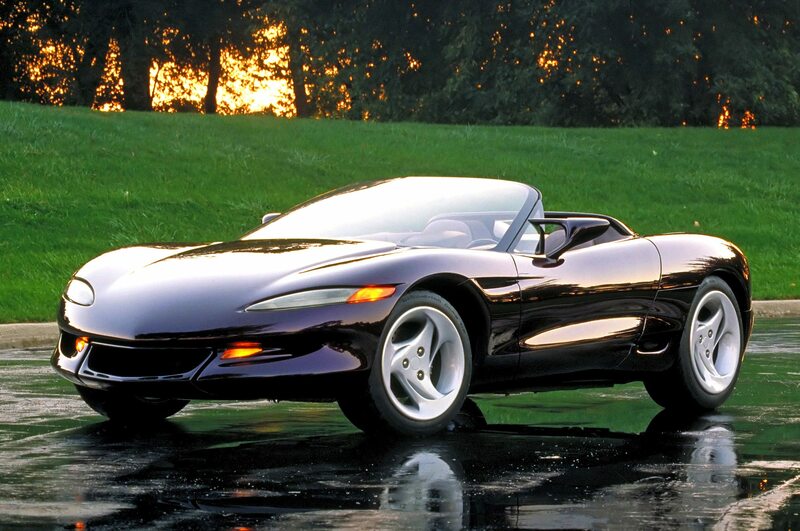 The Stingray III, also known as the California Corvette Concept, was introduced in 1992. Many believed that this new Stingray was the early fore-runner for the C5 Corvette. As the eighties drew to a close, Corvette sales continued to plummet downward. As a result, the roll out of the C5 was delayed. In May, 1989, the C5’s unveiling was rescheduled for 1994 and was then pushed out to 1995 just three months later. Despite these delays, the design of a 21st century styled, fifth generation Corvette really began in earnest, and even the earliest design drawings alluded to a car that was unlike anything that came before it. However, by October, 1992, it seemed that nobody within General Motors could accurately predict when the C5 Corvette would actually arrive. One of the only saving graces of the current Corvette line was that the car’s higher sticker price continued to make the car profitable even as the sales volume dropped. 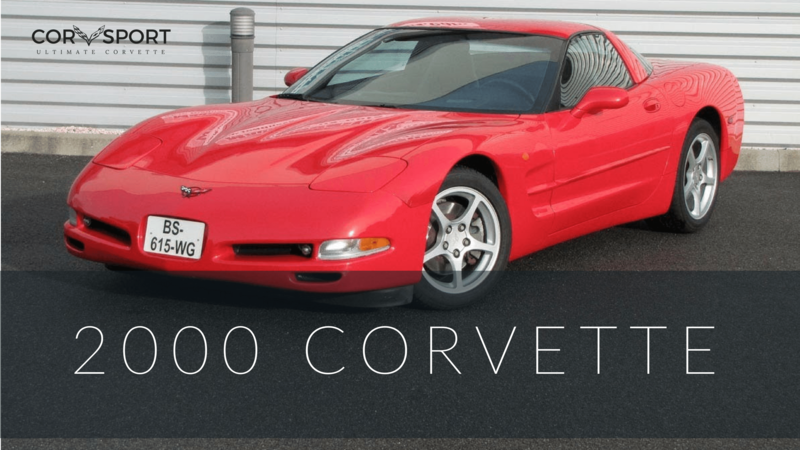 Still, as the nineties approached, General Motors’ top brass wavered on killing the Corvette program completely, suggesting instead that they cut their losses and focus their efforts on higher volume production cars. In response, Corvette engineers and designers fought back and began an internal power struggle within GM that would persevere for the next three years. Jim Perkins, former General Manager of Chevrolet, helped convince GM’s top brass that the Corvette should remain the flagship of the Chevrolet fleet. The first of these “power struggles” began in October, 1989 at GM’s annual executive conference in Traverse City, Michigan, where GM executives decided that the C5 development program would be placed on indefinite hold. In the following year, these same executives began debating whether the poorly selling Corvette should be stripped away from the Chevy car line and should instead be sold under another brand or simply discontinued completely. After considerable negotiating back and forth, it was decided that the Corvette would continue. Then GM president Lloyd Reuss, who had been resigned to the termination of the Corvette program, later refuted the decision and agreed to cancel a proposed 1995 “re-skin” of the existing Corvette in favor of funding the $250 million development program to create an all-new Corvette for the 1996 model year. Lloyd Reuss served as President of General Motors for just under two years. 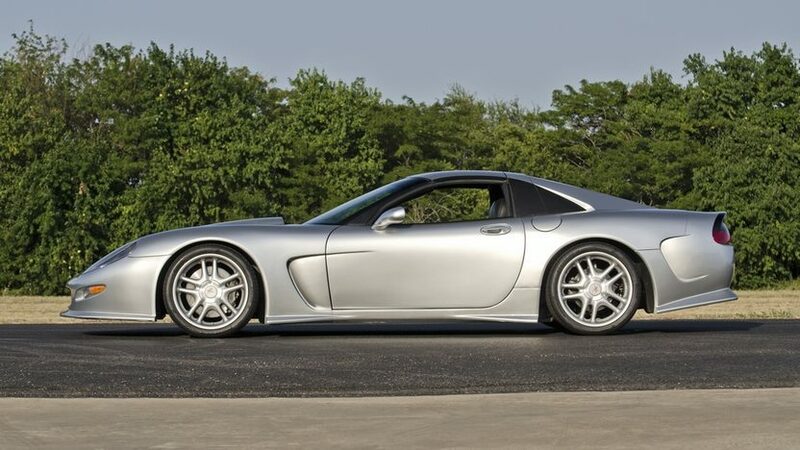 The reality behind these power struggles early in the C5’s development was bigger than the Corvette program itself, though many outsiders looking in might not have seen it as anything other than an internal coup to cut away programs that were performing poorly in financially difficult times. 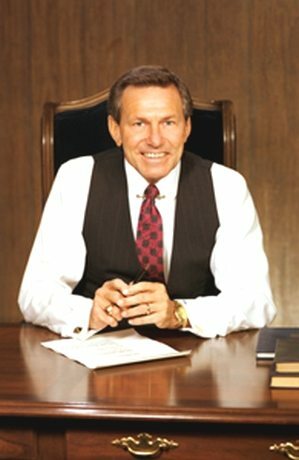 The reality was that General Motors had been very financially successful through the 1988 model year but, just two years later, Detroit’s corporate giant found itself losing a record $2 BILLION dollars just two years later, and that was followed by a staggering $24.2 billion worth of overages in 1992. Beyond the financial woes facing General Motors at this time, there was a significant destabilization of corporate leadership which occurred after Roger Smith, Chairman of the Board, had reached mandatory retirement in 1990. 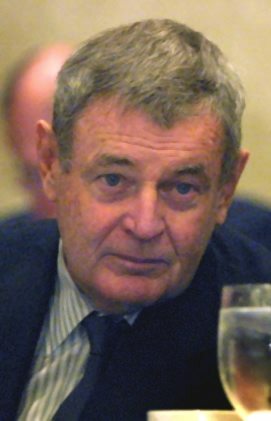 The Chairman that replaced him, Robert Stempel, inherited a financial nightmare, and created additional complications by appointing Lloyd Reuss to the position of president – a position which other board members felt should have been filled with someone else. Their feelings were correct – Reuss could not fill the role effectively and was asked to tender his resignation less than two years later. Lloyd Reuss would be replaced by Jack Smith, who would ultimately green light the C5 project despite the many financial challenges and terse political dynamics currently facing General Motors, though not before significant developments would push General Motors to embrace the new Corvette platform whether they liked it or not. DID YOU KNOW: The C5 Corvette was not simply a re-design of the existing C4 Corvette, but a completely new design from the ground up. 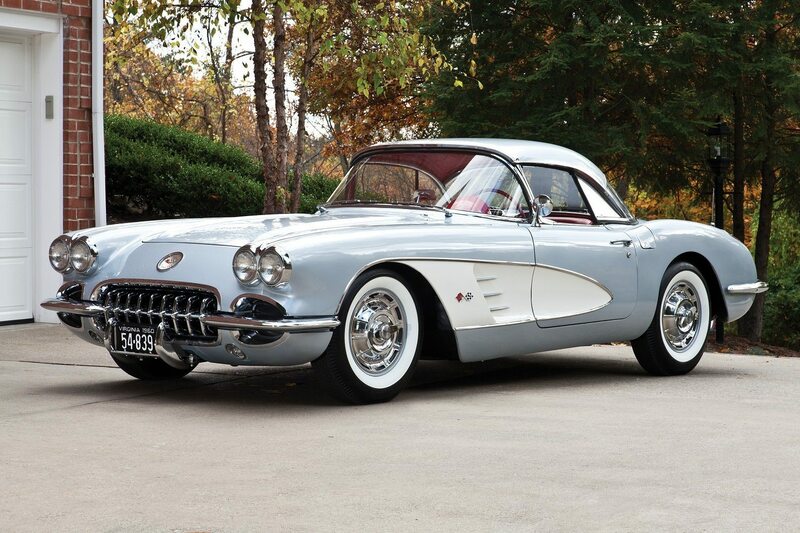 It was the first truly unique Corvette since the C1 Corvette was designed in 1953. 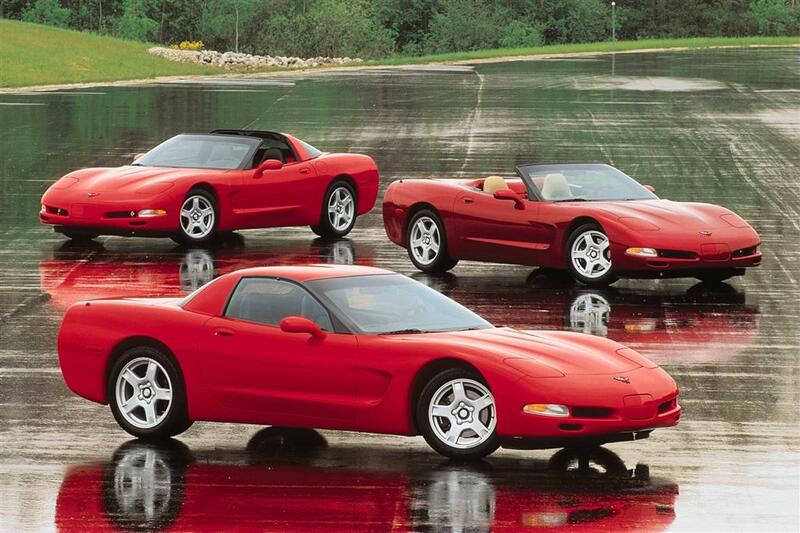 Since the C5 Corvette was a completely original design, the car did not borrow many parts from previous models. In fact, there are very few parts on the C5 Corvette that were not specifically designed for the car. One of the few exceptions are the door handles, which are the same as those that were used on the Oldsmobile Aurora. Jack Smith would replace Lloyd Reuss as President of General Motors in 1992. At about the same time this announcement was made, the Corvette design team experienced a number of key personnel replacements. 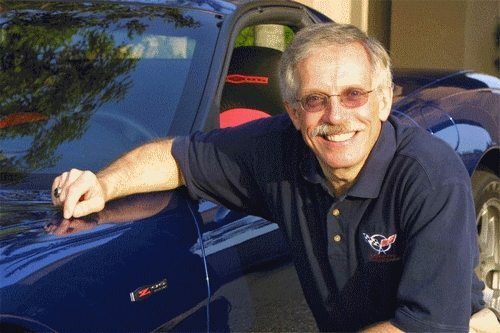 GM Design Vice President and Head of Corvette Design Charles “Chuck” Jordan – who had largely controlled the early design variants of the C5 platform – retired and was replaced by Wayne Cherry. Although Cherry was officially made the head of the design department in September 1992, his responsibilities centered far more heavily around business and corporate politics than it did art and design work. It was Jerry Palmer who ultimately remained in charge of GM studios and directly influenced the design elements of the C5. Later in the development of the car, Palmer would oversee John Cafaro, who had come to Corvette after working as chief designer on the 1993 Chevy Camaro. Ultimately it would be Cafaro who would oversee and directly manage the development of the C5. Additionally, John Heinricy was named assistant chief engineer. Lastly, a formal announcement was made naming Dave Hill as the Corvette’s Vehicle Line Executive. 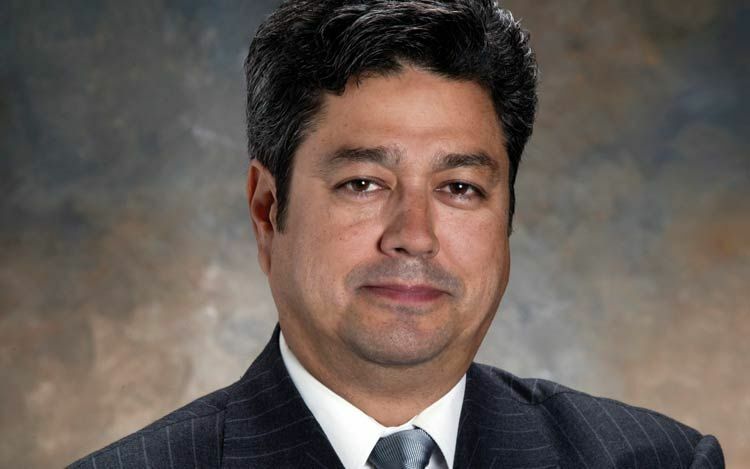 John Cafaro, former chief designer of the 1993 Chevy Camaro, was one of the designers and project managers of the C5 Corvette development team. 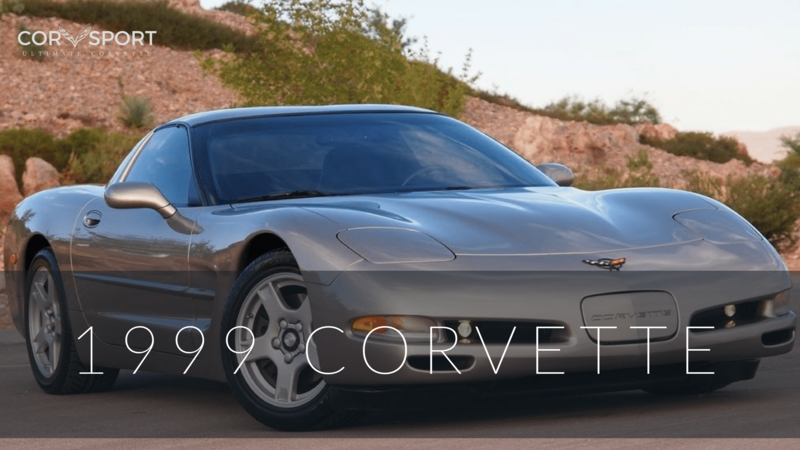 As design programs go, the actual development of the C5 Corvette was as diverse and challenging as the rest of its evolution. With Charles Jordan now at the helm, he instructed Cafaro to begin preliminary sketch designs of a C5 rendering. Cafaro set to work in the basement of the Chevy 3 Design Studios. Despite his efforts, many challenged his early designs and so GM executives turned to other firms as well including ACC in California – who were chiefly responsible for the development of the scintillating Sting Ray III. Jordan also ordered Tom Peters who (at that time) worked within GM’s Advanced 4 studio to become involved, thus making the design of the C5 Corvette a three candidate contest. The CERV IV (Corvette Engineering Research Vehicle), was an early concept C5 Corvette. In April 1991, Jordan gave his blessing to one of Tom Peter’s designs but also directed all involved to blend in many of Cafaro’s ideas. In late March, 1992, Cafaro came back with his stunning “Black Car” which was based on the C4’s birdcage chassis but featured a completely new and exciting look. 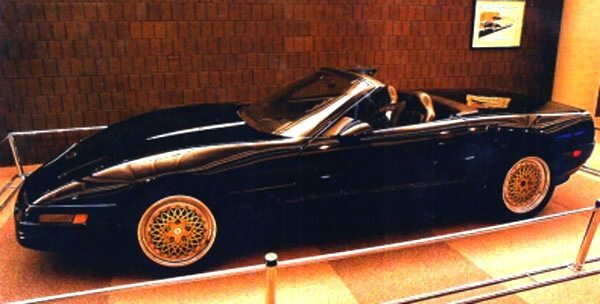 The aforementioned “Black Car” was in fact a prototype and test bed for the C5 Corvette. It featured much of the C5’s eventual design. 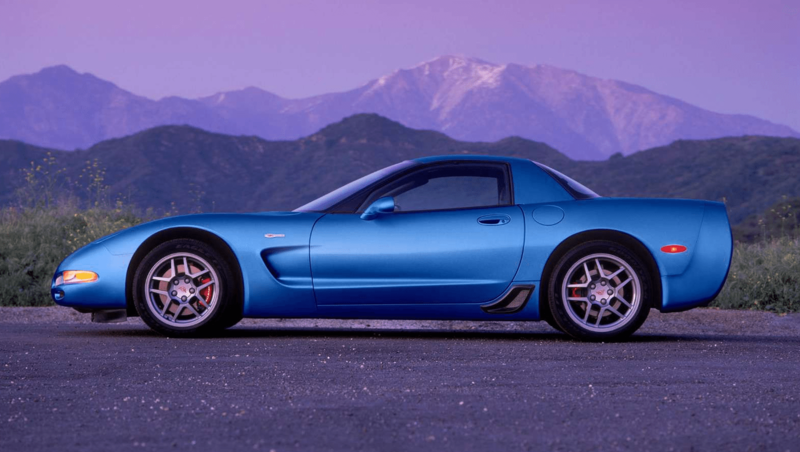 DID YOU KNOW: In addition to being a totally new design, the C5 also featured a number of first-time innovations including the use of black lights to illuminate the dashboard at night and the introduction of a plastic (composite) intake manifold. 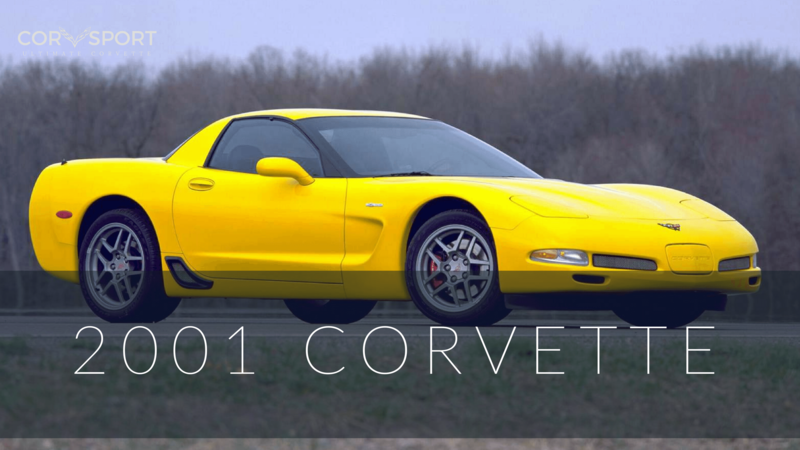 Mechanically, the C5 was the first Corvette to use a transaxle as part of a production model Corvette. 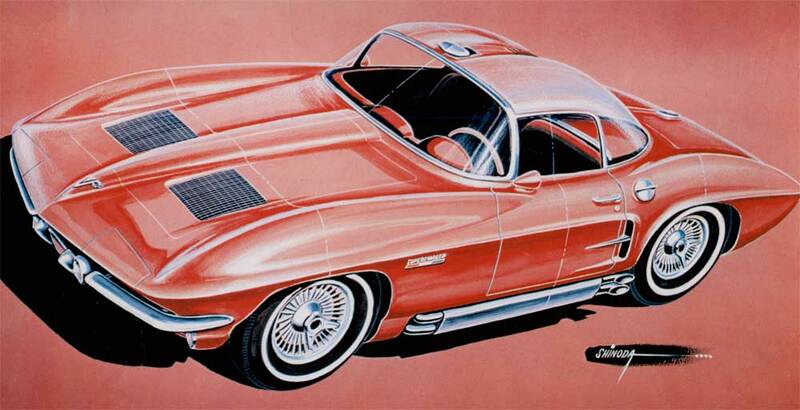 Tom Peter’s “Red Corvette” design won the early favor of Charles Jordan. Perkins was also responsible for shepherding C5 chassis development through GM’s economic hardships, first by creatively charging his work (often to C4 projects) and later by carefully siphoning off just enough money to fund the CERV IV platform. In December 1992, the Corvette design group secretly contracted with TDM, Inc. to build a prototype of the proposed C5 Corvette. Officially known as the Corvette Engineering Research Vehicle (or CERV IV) this concept ’Vette was kept secret from GM management out of real concern that GM would scrap the development of the $1.2 million dollar prototype. 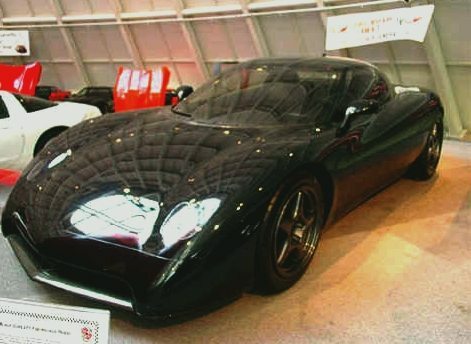 John Cafaro presented the “Black Corvette” in response to Tom Peter’s Red Corvette. 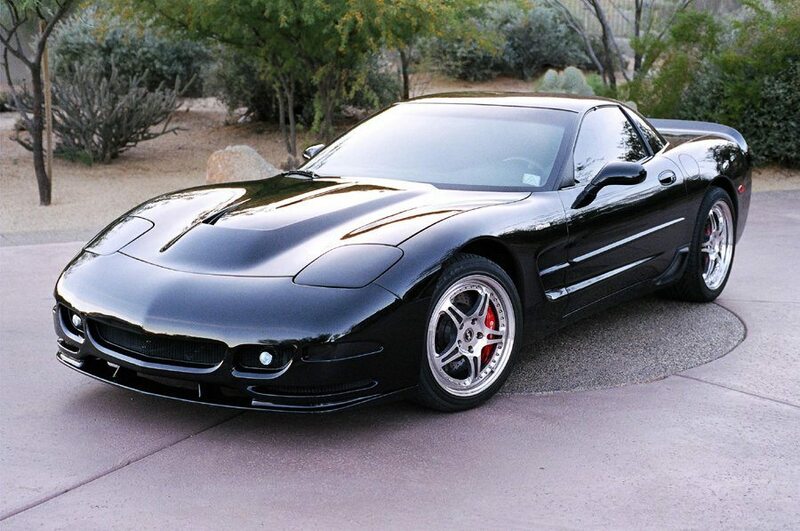 The “Black Corvette” would be the test bed for many of the options being developed for the C5 Chevy Corvette. Although the CERV IV’s outward appearance was a “bastardized” C4 shell, underneath was a backbone chassis that incorporated a rear-mounted transmission – both of which were part of the C5 goals from the onset. Even the engine, which was supposed to feature a Gen III small block Chevy, ended up coming over from the C4 assembly facilities. While the first CERV IV was really little more than a rolling chassis, it did well enough to impress the top brass within GM. In fact, the newly appointed Corvette Chief Engineer Dave Hill (who replaced Dave McLellan after his retirement from GM in 1992) unveiled the CERV IV Corvette in May of 1993 at GM’s Technical Center in Warren, Michigan. Until it’s unveiling, most of the hundreds of people who were in attendance were utterly unaware that any test car was already being built. However, the potential of the CERV IV sold many of GM’s top brass on the new C5 platform and encouraged some of the top executives – including Jack Smith – to move ahead with the design. Corvette Chief Engineer Dave Hill. Dave led the Corvette engineering team during the development of the C5. With the renewed support of GM’s top brass behind them, the Corvette engineers set back to work on developing the C5 prototype. In June, 1993 Dave Hill, who had come to lead the Corvette engineering team after an extended stint as an engineer for Cadillac, met with Corvette program manager Russ Mclean in an attempt to seek approval from the General Motors Strategy Board to begin formal development of the 1997 C5 Corvette program. 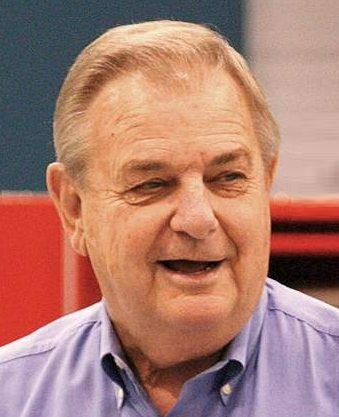 Shortly after meeting with the board (and Jack Smith) the plan was fully endorsed and it was proudly announced by Jim Perkins that the fifth-generation Chevy Corvette would be manufactured with a target date for its formal introduction to occur in the 1997 model year. 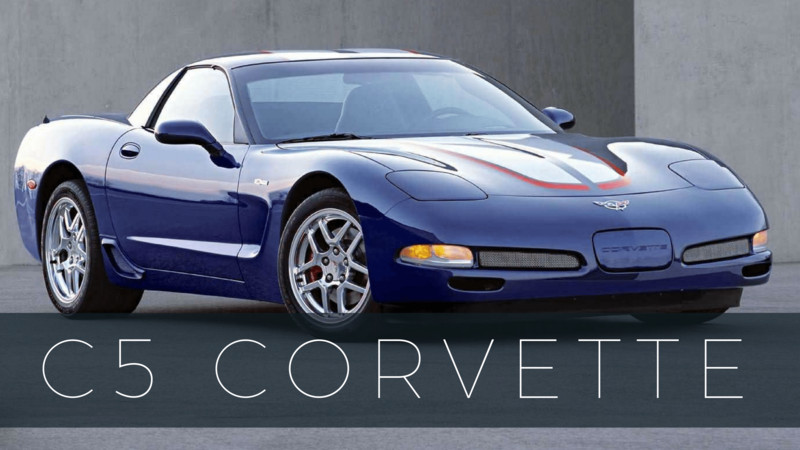 A number of new corporate mandates were issued that would not only change how the new Corvette was to be developed, but were also intended to help ensure that the C5 Corvette would appeal to a broader audience than its predecessors. 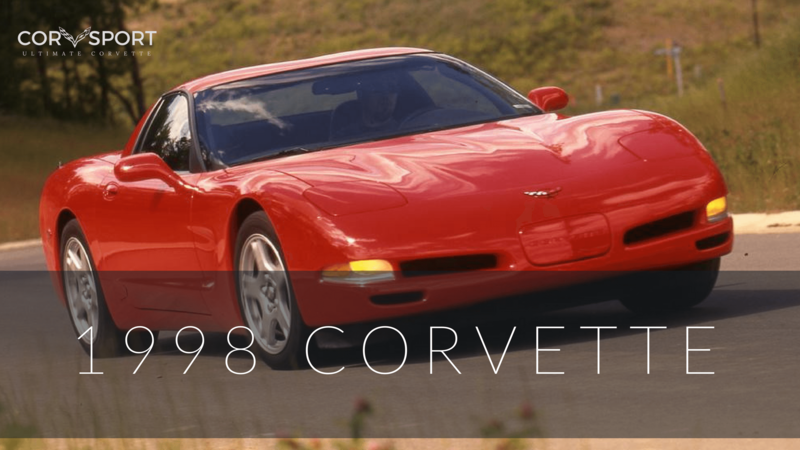 Unlike the early years of the Corvette, when legends such as Zora Arkus-Duntov and Bill Mitchell defined the expectations of the Chevy Corvette, the C5 would be the result of considerable market research and customer clinics. Nearly 1,600 Corvette owners (as well as the owners of other competitive vehicles) received a survey that asked specific questions about their existing Corvette’s styling, automotive design, and available features that would/could be offered with a new generation car. While this type of undertaking had never been previously performed, the results were definitely favorable. Chevy’s “Voice of the Customer” listed specific preferences including a front-engine, rear-drive layout, with other options ranked in the following order of importance: 1.) quality construction, 2.) performance, 3.) safety, 4.) appearance, 5.) comfort, and 6.) value. Handling and maneuverability were favored by many to be of greater importance than sheer acceleration. Additionally, one of the greatest complaints concerning earlier generation Corvettes was about to be resolved – namely the current issue surrounding the difficulty entering or exiting earlier generation Corvettes. 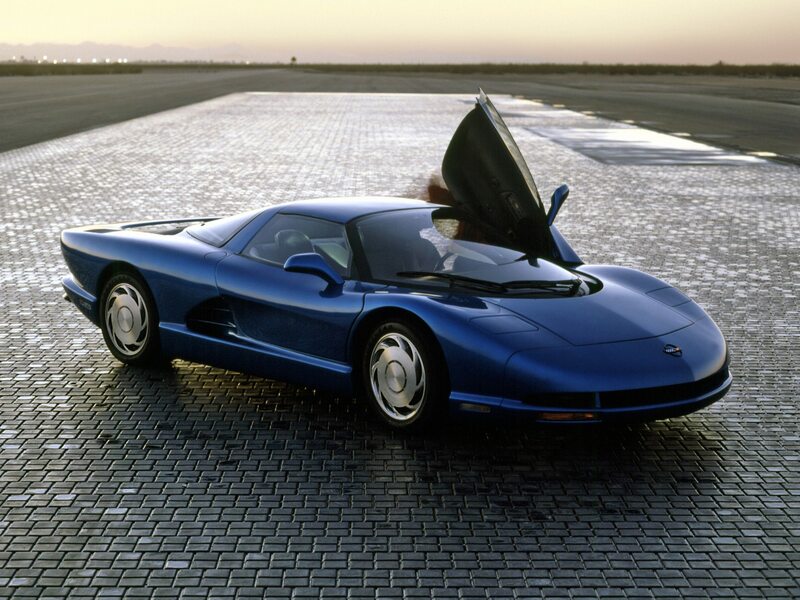 Early C5 design work envisioned a Corvette akin to the C4 package size that featured swooping, dramatic lines that were reminiscent of the mid-engine Corvette Indy and CERV III concept cars. Another strong consideration that was made, especially in the wake of rising gas prices and ever increasing federally mandated emission regulations, was to continue down the path conceived with the Stingray III concept – namely, to build a smaller, lighter car that might even feature a high-performance 6-cylinder engine. 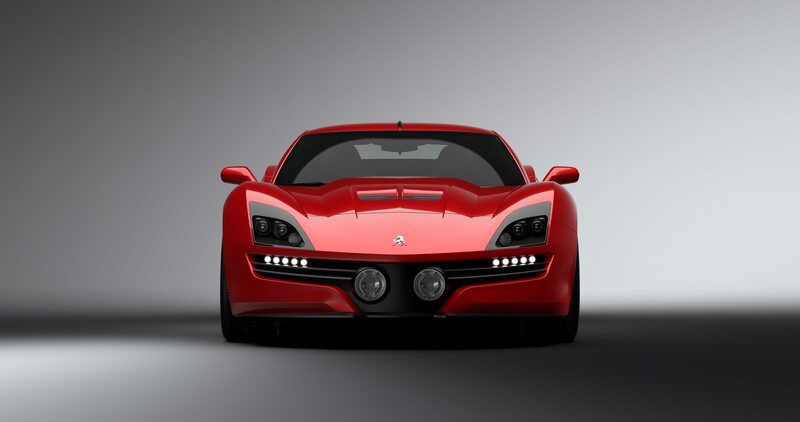 Ultimately, these ideas were scrapped as it was generally agreed that these ideas were not consistent with what Corvette buyers were looking for in a sports car. As development continued, a plunging, arrow-shaped nose theme became the popular design leader, although this design was ultimately re-directed away from the Corvette and became (in a more subdued form) part of the 1993 Chevy Camaro design platform. 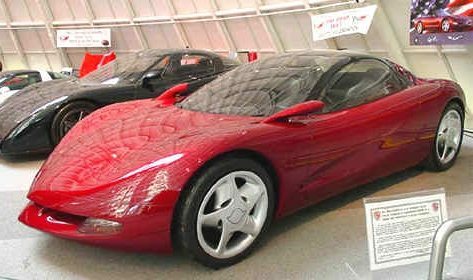 Despite this, some of the bodylines rendered in this variant of the C5 Concept took hold, and it seemed as though the new Corvette was beginning to take shape. Still, a number of ideas came and went – including a “double bubble” roof that carried through many of the early concept designs. While this detail made it as far as being included in some of the clay models and full model concepts, it too eventually hit a dead-end and was dropped from the design. 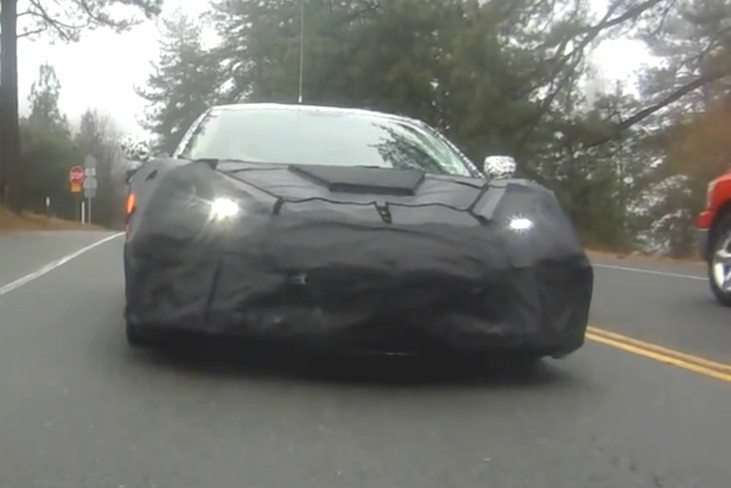 According to Chief Designer John Cafaro, many of the customers that had been interviewed stated that they were concerned the new Corvette would “look like a Ferrari or an (Acura) NSX.” This presented genuine challenges for the C5 design team and its leading designers and engineers. After all, earlier iterations of the Corvette had been the creative byproduct of a small group of talented designers. Early Production C5 Concept Design as featured in Motor Trend Magazine. That August, the C5 program was subjected to what General Motors called its “Concept Alternatives Selection.” For GM engineers and designers, this phase of the design was the point at which every component, procedure, and design aspect is presented, defended, and decided on. The C5 passed this selection review process, but everyone behind the new Corvette knew that the worst was yet to come. Because GM was now focused on producing “customer driven” vehicles, it was no longer enough to produce a well engineered/well designed car, but would also require producing a car that would have immediate commercial appeal and produce sales numbers that could drive revenue and help increase sales. Chevy held a marketing clinic in Los Angeles in May 1994, to determine how well the new Corvette might ultimately sell. Even those within the Corvette program that were leery of General Motors market-research-driven approach to the car’s design could not argue with the results: Sixty percent of the respondents interviewed stated that they’d buy the C5 Corvette over the competition. This singular result provided a level of acceptance no GM car had ever before received during pre-launch testing. With the results of the marketing clinic behind them, General Motors proceeded with development of the first, formal C5 test car. On June 4, 1994, that car was completed and build chief John Fehlberg was given the distinct honor of being the first person to drive it. This car would later be subjected to a number of additional studies – aerodynamics, durability, drivability – and so on, providing information that would allow Corvette engineers to further refine the design. Using that data, GM started building the first of a relatively small group of C5 beta test cars in April, 1995 and each would begin road testing shortly thereafter. These beta test-mules were driven extensively, but not without a considerable amount of heavy camouflage to help conceal the design. General Motors knew that there was no practical way to test these cars without putting them on the open road – but they also realized that magazine spy photographers would stake out the places where the Corvettes would be test-driven. 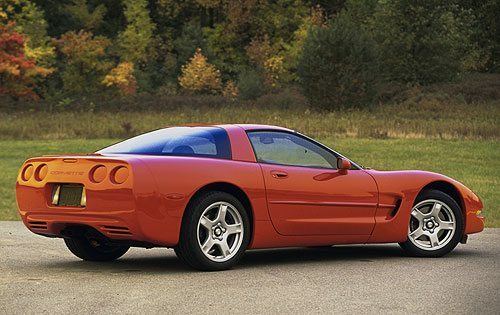 To conceal the actual shape and aesthetics of the C5 Corvette, many of the beta cars received various soft and hard body pieces that made the C5 look like something other than a Corvette. Despite their efforts, the early beta cars were still well photographed along drive routes that included mountains, deserts, snow-covered back roads and more – many of these contained within GM’s Mesa, Arizona proving grounds! 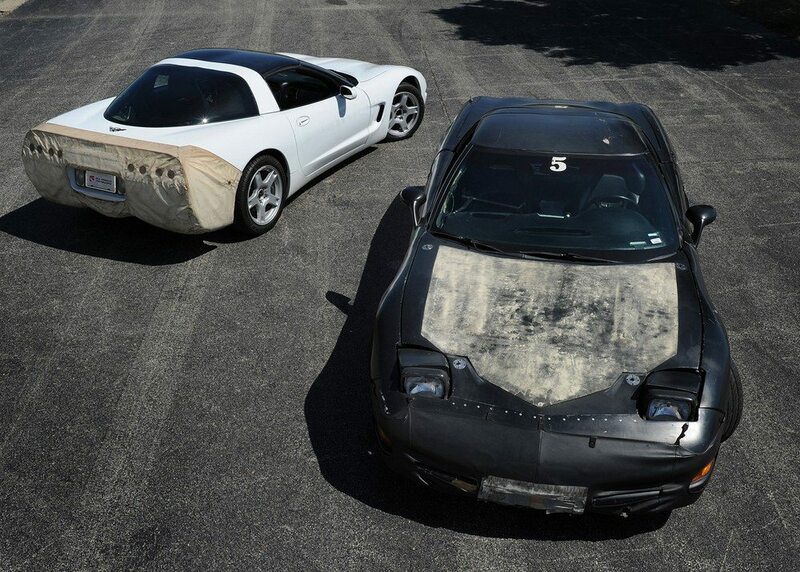 C5 Beta Test Cars were camouflaged to conceal the design of the actual car. 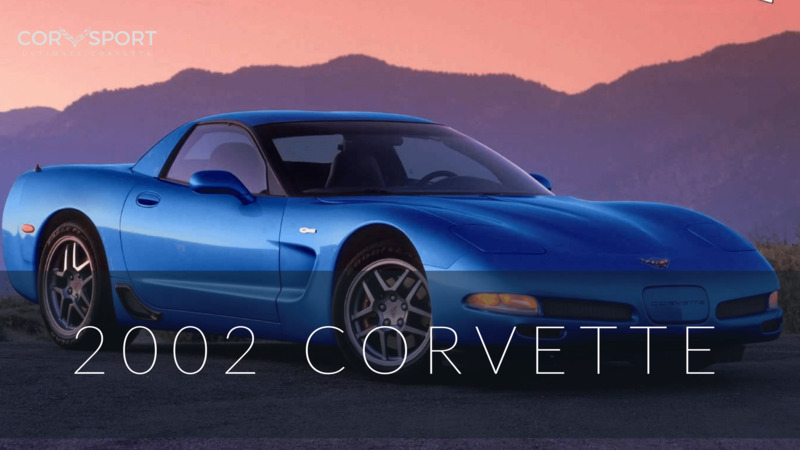 More than a year later, the first pre-pilot C5 Corvettes rolled off the assembly line in August, 1996 and the first production 1997 Corvette was completed on October 1 of that same year. The C5 Corvette would be formally unveiled to the press in November, while an official on-sale date was set for March 7, 1997. When finally introduced at Detroit’s North American International Auto Show on January 6, 1997, the first publicly displayed C5 represented Chevrolet’s first truly all-new Corvette since the original was introduced at the 1953 Motorama more than 30 years earlier, and even then, the 1953 Corvette featured many components already found in other Chevrolet passenger cars. 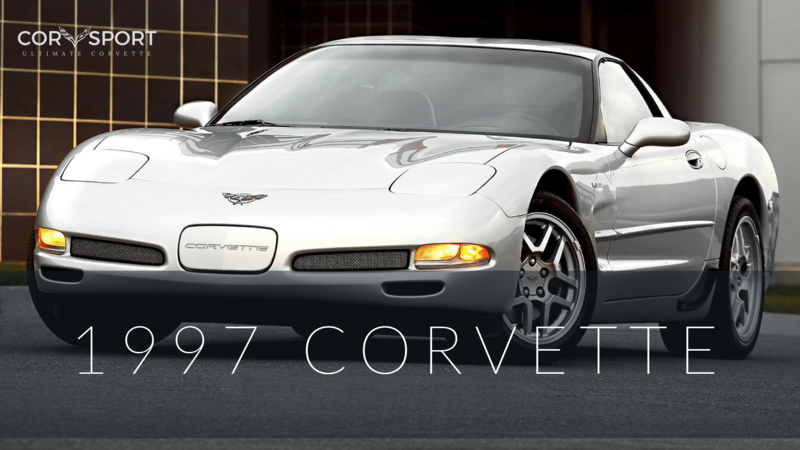 The C5 Corvette was unveiled on January 6, 1997 at the Detroit International Auto Show. This new Corvette truly was essentially an all-new machine. There were some exceptions of course, as the Corvette engineers had relied on the previous generation ZR1 for both inspiration and guidance. 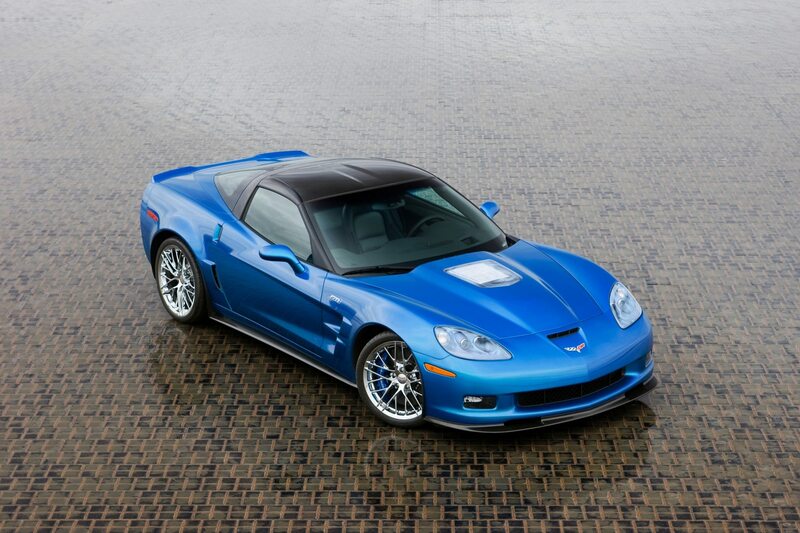 However, these carryovers were far and few between, and, while the ZR1 may have influenced aspects of the C5’s design, the new Corvette was an almost complete departure from its predecessor. Further, it contained 1,500 fewer parts than the C4 Corvette. This reduction in components came about as part of the designer’s plan to reduce/eliminate the shakes, rattles and rolls that plagued the C4 Corvette. Fewer pieces also simplified production and maintenance. It was clear almost immediately, that the new C5 Corvette was going to be an overwhelming success both in the eyes of the critics and the enthusiasts alike. How could it not be? Almost every aspect of the new Corvette was a significant improvement from its predecessors. The new C5 featured enhanced ride quality with the introduction of a substantially wider wheelbase – more than eight inches wider than the C4. A more rigid frame/chassis featuring a pair of light, but immensely strong hydro-formed rails, resulted in a design that was so stiff, it could support the new fiberglass body, even as a convertible (an option that would arrive in the second model year of the C5 Corvette) with the rigidity of a standard steel sedan. The introduction of the trans-axle drive system for the GM 4L60E automatic transmission resulted in better weight distribution and allowed for additional space in the cockpit foot wells, a significant shortcoming of the C4 generation Corvette. Even the LS1 engine, though still an aluminum small-block 350, was forty-four pounds lighter and was 45 horsepower stronger than the LT1 engine that had preceded it.